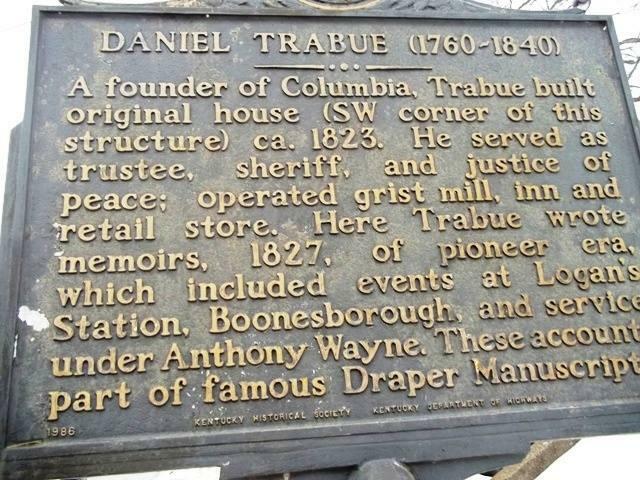 A founder of Columbia, Trabue built original house (SW corner of this structure) ca. 1823. He served as trustee, sheriff, and justice of peace; operated grist mill, inn and retail store. 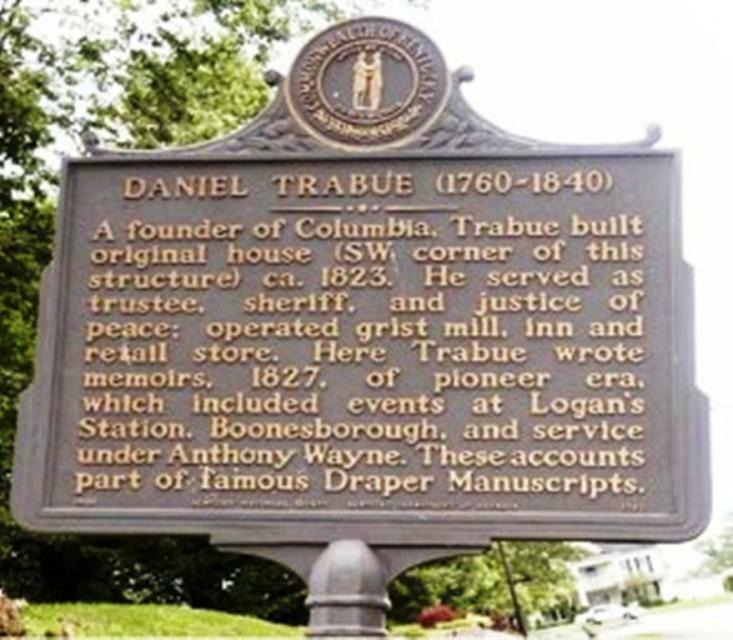 Here Trabue wrote memoirs, 1827, of pioneer era, which included events at Logan's Station, Boonesborough, and service under Anthony Wayne. These accounts part of famous Draper Manuscripts. This marker can also be identified by its HM code. You can use the hashtag #HM1KJY in tweets, and any other place where you might refer to this marker, including when searching on this site.